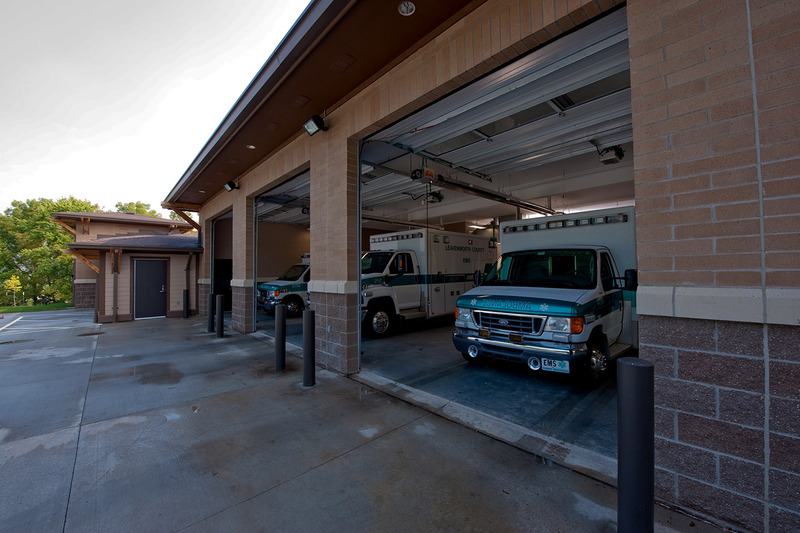 When the Leavenworth County began receiving over 5,000 emergency medical calls per year, a new North Emergency Medical Service facility was needed to better serve the County. 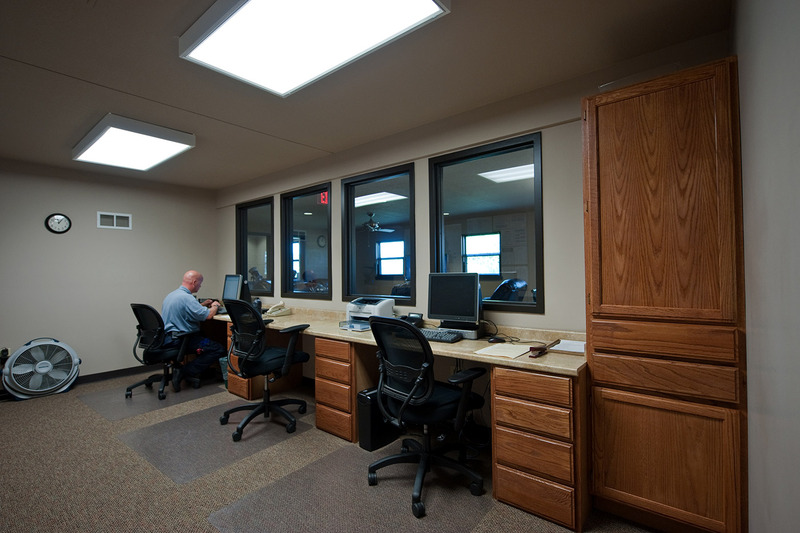 A centralized regional location was necessary to provide quicker response times as well as additional emergency vehicles and crews. 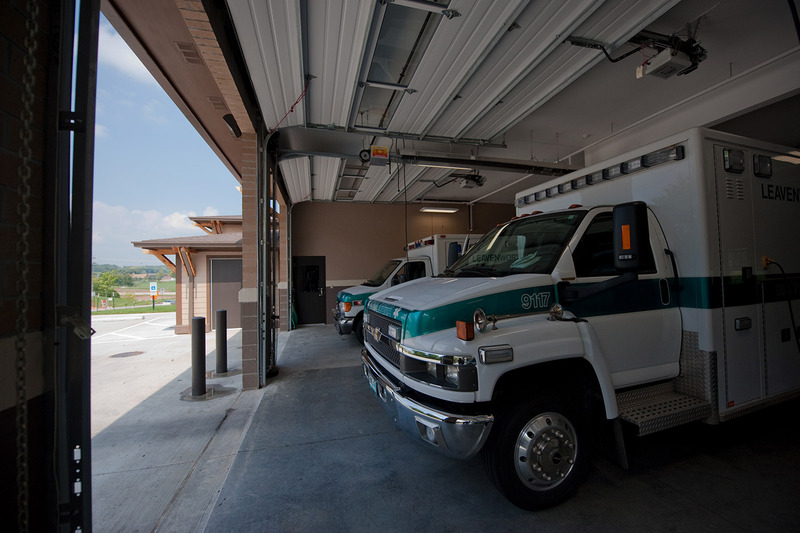 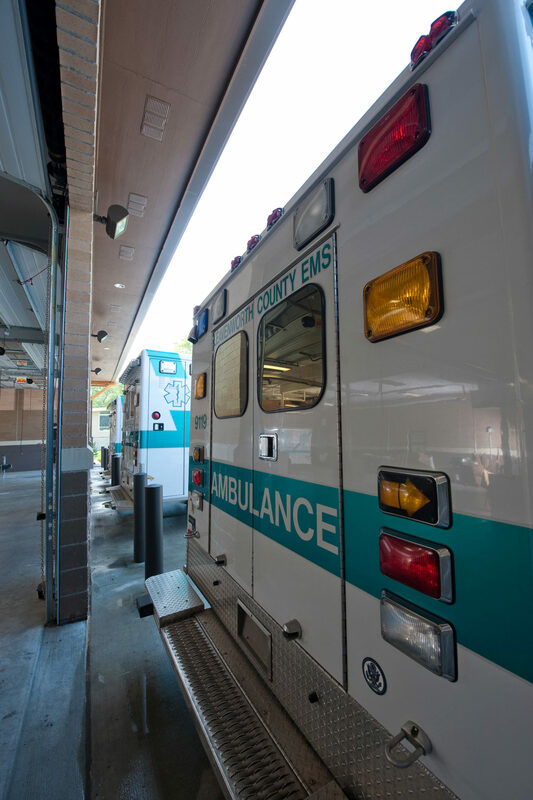 The program called for a 5,500 SF facility that would address administrative needs and provide living accommodations for two crews per shift as well as vehicle bays to house two on-call ambulances, one stand-by ambulance and a disaster response medical trailer. 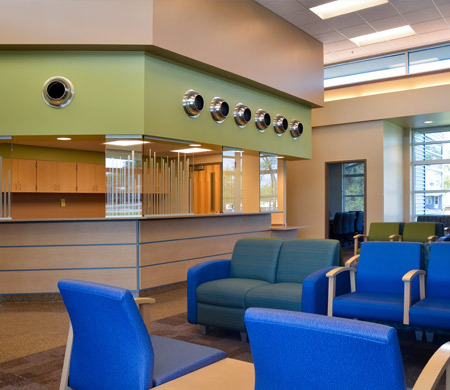 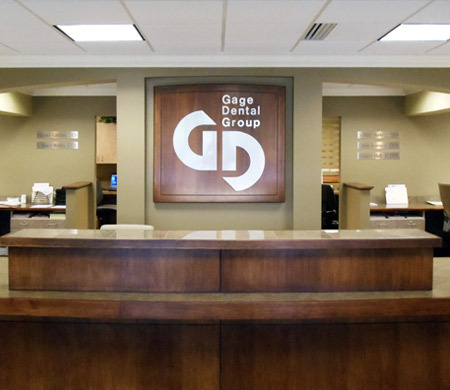 Given a budget of $100/SF, it was imperative during the preliminary design to work with contractors familiar with residential and light commercial projects in order to design a durable facility that met the programmatic requirements of the County. 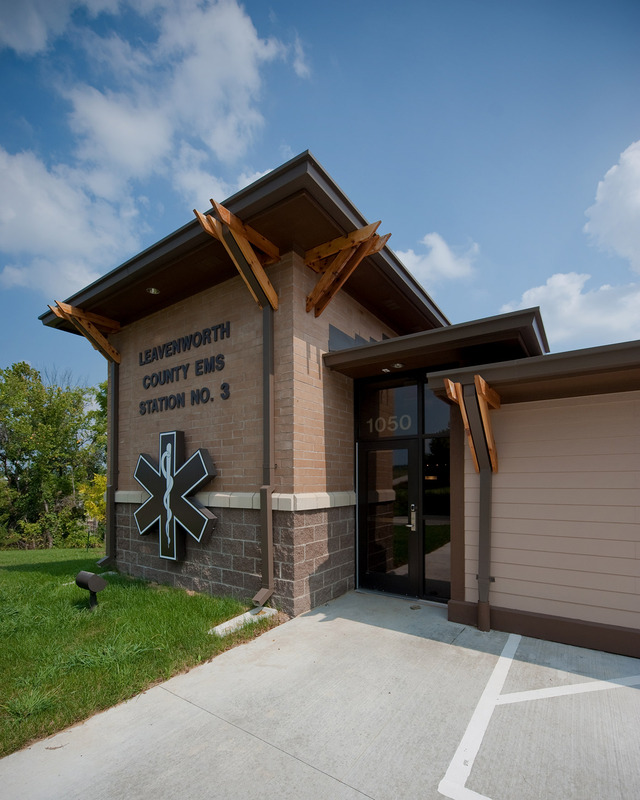 The new Leavenworth Emergency Medical Service facility is located adjacent to a residential neighborhood off of a major arterial street to allow for quick access. 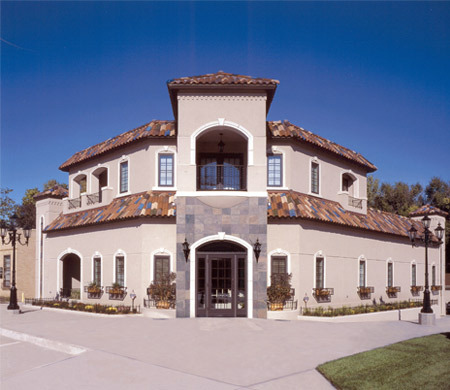 The design of the facility is both residential and civic in character. 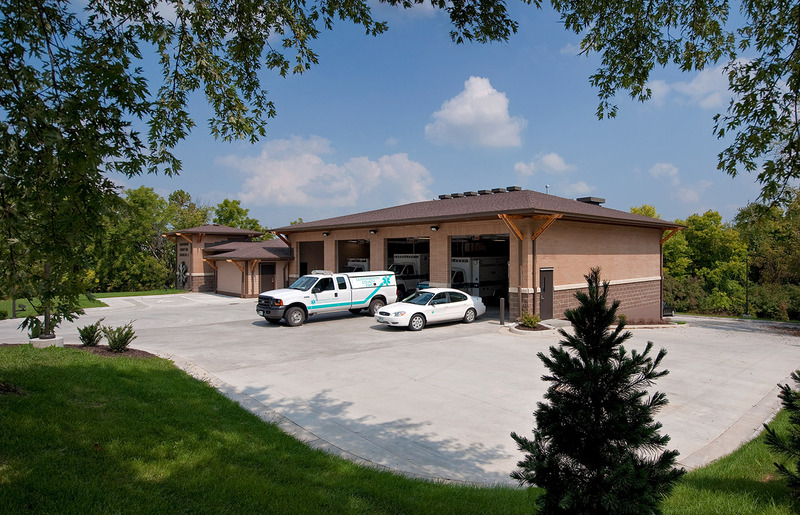 It has a sloped shingle roof as well as brick and lap siding exterior walls. 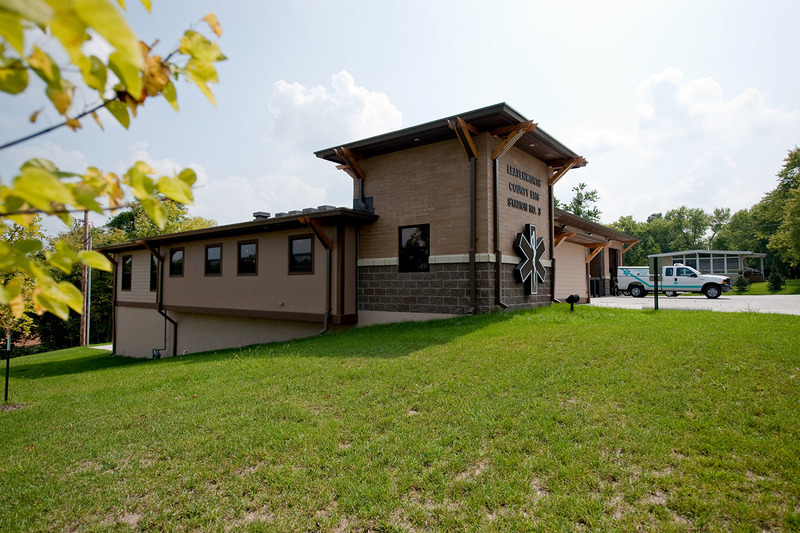 Additionally, the exterior building has elevation design elements. 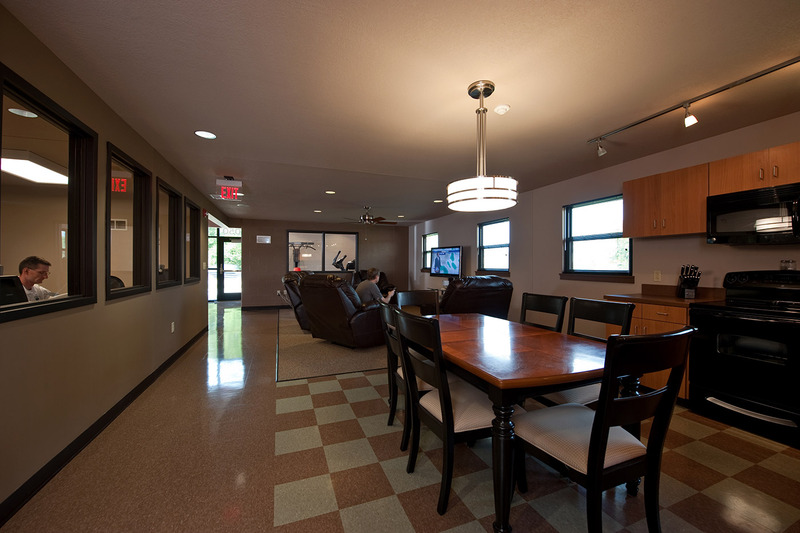 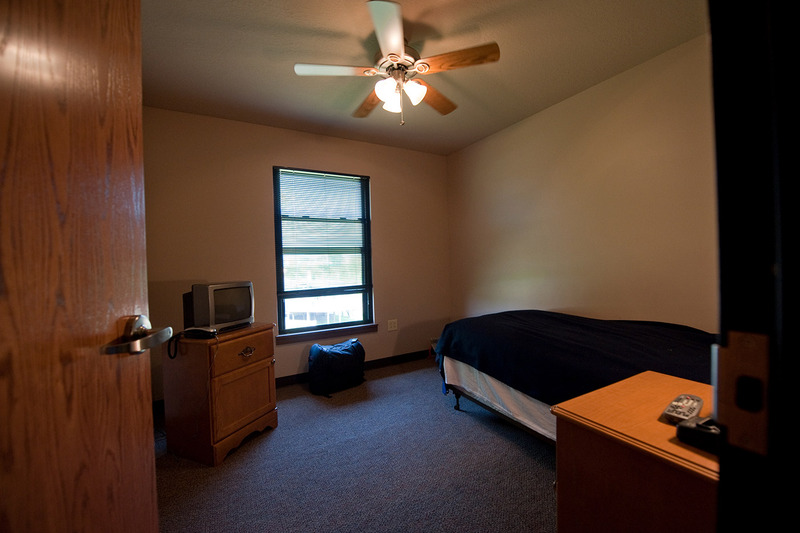 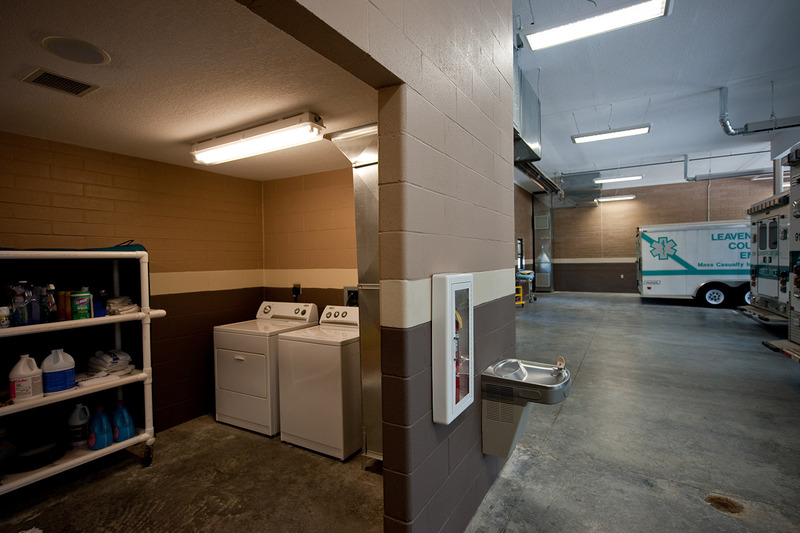 The floor plan is focused on providing quick access to the vehicle bays from all building functions while providing a home like environment for the staff.